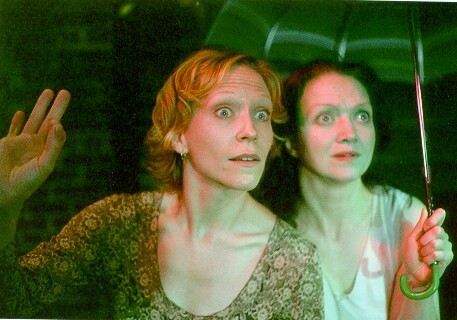 "How to See in the Dark"
A moment from 'heaven' Jan. 2000. 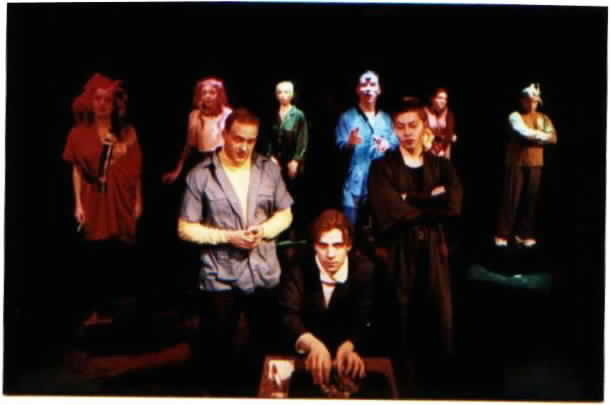 Cast of "Putnam" - May, 2002. 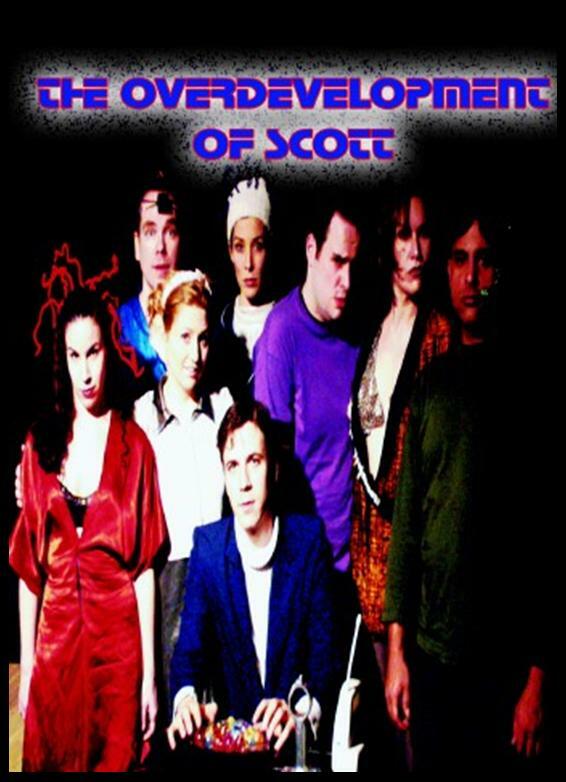 "The Overdevelopment of Scott" cast Feb., 2001. Three nuns struggle to survive a deadly draught cause by El Niño in the middle of the war in El Salvador, while trying to support a mission orphanage with no funding. Only when we're totally f*cked can we believe in miracles. This science fiction anti- (non-traditional) musical comedy takes place is New York City, 2103 AD. Based on a true story, two technician/lovers long to retire from their genetics research laboratory by attempting to quicken the stage of "overdevelopment" (point of euthanization) in their human test subjects. 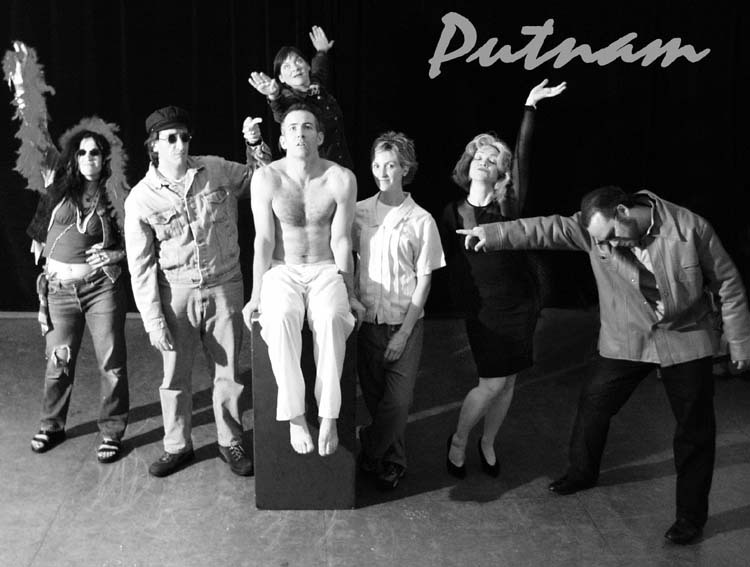 Cast includes As the World Turns Steve Deighan* as the evil Technician 1, Testosterone Kills Timothy P. Daly as the endearingly subordinate Technician 2, and Sharon J. Fogarty* as the computer voice. Test subjects are performed by Jason Grossman (Funny Sheesh, Its a Wonderful One Man Show Life) as Freddie - raised by television, Broadway performer Elizabeth Mozer* as Rita bred for studies in cosmetics and hygiene products, and a collection of off-beat musical performers including Susie Thiel (Tammy bred to be a good listener), Danielle Montezinos (Esther for sexual addiction), Donna Heffernan (Virginia tobacco studies), Matthew Porter (Gracious eating disorders), Sanjay Kaul (Tito for studies in violence) and finally Charles Moran (Scott bred for studies in kindness and affection). Book, music, lyrics and choreography are by Fogarty, piano accompaniment is provided by Doug Silver, Kenny Davidsen and Ron Anteroinen. Lighting is by Jonathan Fuchs. 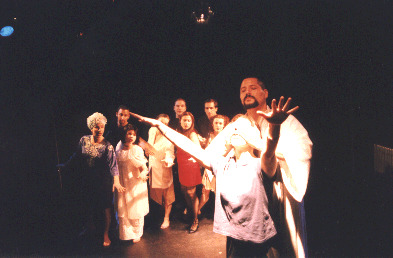 The Overdevelopment of Scott was previously produced by Dixon Place and at the NY Dance Center. 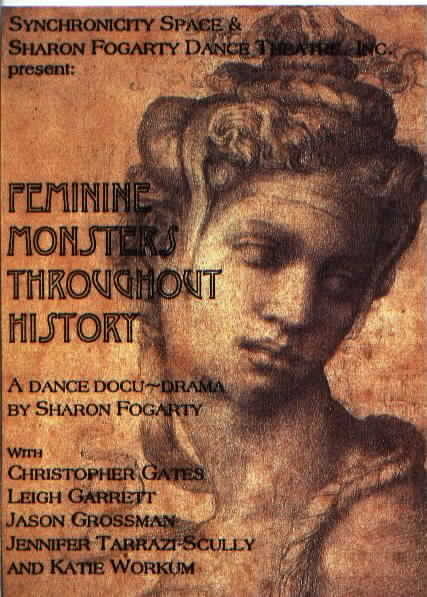 Fogartys additional directing credits include Pink Steel: Get Thee Behind Me Gaytan, The Wise Sophia, Its a Wonderful One Man Show Life and two currently running shows, How to Be a Groom and The Art of You. Karen Christie Ward, Jason Alan Griffen, Sharon Fogarty of "Putnam." Based on Mary Shelley's Frankenstein, James Whale's Bride of Frankenstein (and almost every other Frankenstein movie ever made) this humorous work features a tight a cappella chorus and powerful dances that convey Frankenstein's newborn creature's experience as she struggles to become the perfect daughter/lover for her creator. The cast features Jason Grossman (Funny... Sheesh, It's a Wonderful 1-man-show Life) as the paranoid Dr. Frankenstein, Renée Torrière (Downtown Vocals, Funny... Sheesh) as the bitchy Miriam Frankenstein, Jason Howard* (recently Feste in Twelfth Night) as the loveable gravedigger and Timothy Joseph Ryan* (Fogarty's "Next to Nothing") as the gregarious Doctor Walton. Sharon Fogarty co-produces this work with Manhattan Theatre Source as part of their annual Estrogenius Festival, Honorary Chair Mercedes Rhul. 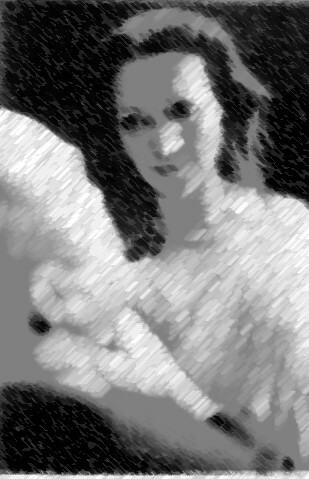 Fogarty received her bachelor's in Dance from SUNY Brockport and has performed with Anna Sokolow, Meredith Monk, Ping Chong, Doug Elkins and the Imago Mask Theatre Ensemble. Her repertory includes 60+ ballets, hundreds of songs and 22 full length dance theatre plays. 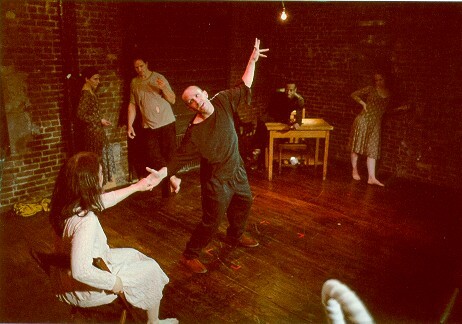 An Actors' Equity Approved Showcase, Bride of Frankenstein ~ an experiment in intimacy was previously performed in 1992 at the Mulberry Street Theatre (with Fogarty and Agte as the original monsters), and again in 1997. Publicity stills from 'Bride of Frankenstein' with Sharon Fogarty, Jason Howard, Renée Torrière,Laura Walzcak. Summary: A mental patient who cannot speak struggles to convey her condition to an equally unstable psychiatrist. This one-act play with dance and music features four women from St. Mary's Psychiatric Hospital in New York City. Characters suffering form schizophrenia claim the silent Daphne (Elizabeth Mozer), as their leader, proposing that she can control their thoughts and communicate with them telepathically. On the surface, however, Daphne appears the weakest, most innocent and least functioning. 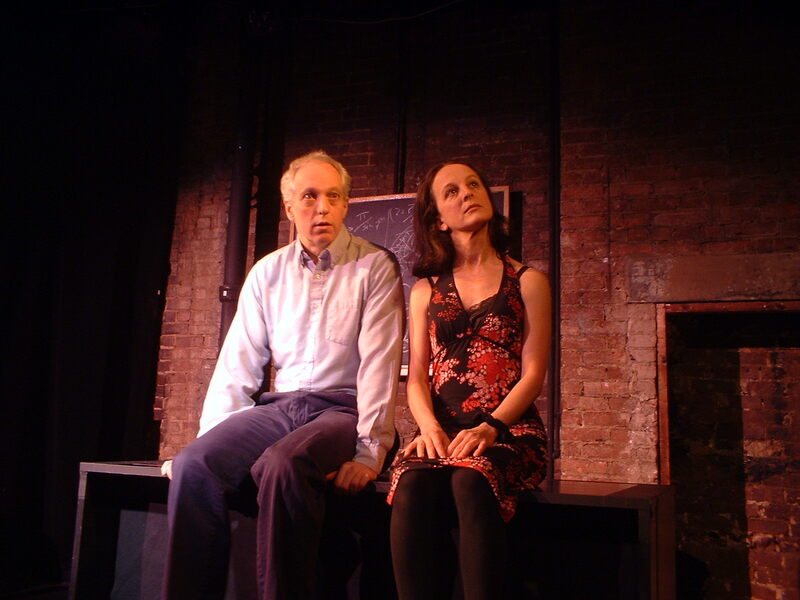 The audience discovers along with Dr. Heron (Timothy Joseph Ryan), the true relationship of Daphne and her fellow inmates. Cast: Timothy Joseph Ryan*, Elizabeth Mozer*, Tiffany Card, Sharon Fogarty, Mary Stillwaggon* and Jason Grossman.